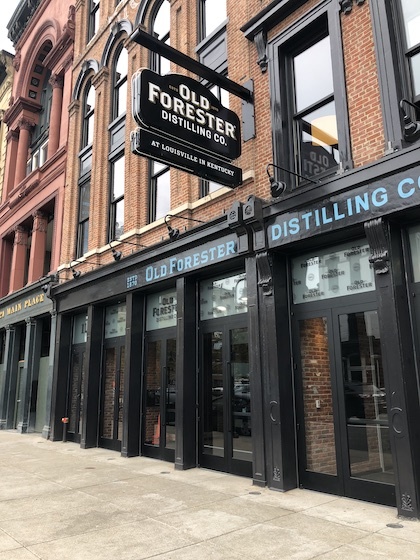 When Brown Forman opened its $45 million, 70,000-square-foot distillery on Whiskey Row in downtown Louisville for its founding brand Old Forester in June, it was a return home to its beginnings for the American Whiskey giant. 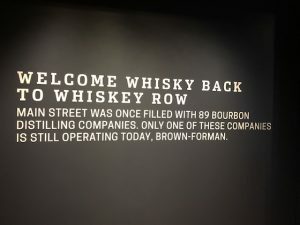 Located at 117 and 119 Main Street, where the company was originally headquartered for a period ending in 1922, the distillery both looks back at the history of America’s first bottled bourbon and serves as a declaration of intent for the future of the brand, Old Forester President Campbell Brown tells TMI. 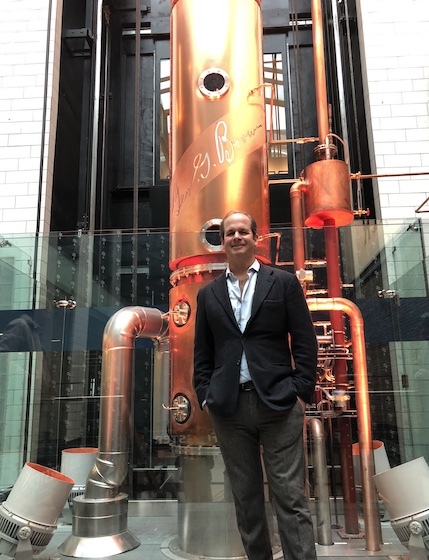 Old Forester President Campbell Brown stands in front of the 44-foot-tall copper column still at the new Old Forester Distilling Co. located on Whiskey Row in downtown Louisville. Brown, a fifth generation descendent of company founder George Garvin Brown, recently took TMI for a tour of the state-of-the-art distillery. “The opening of the distillery meant a lot to me and it meant a lot to the family, to our company. This is a brand that was at one point one million cases and had declined. Most other companies would have either sold it or mothballed it. We never did,” says Brown. “It’s a commitment, not for what we’ve done but for what we can do. 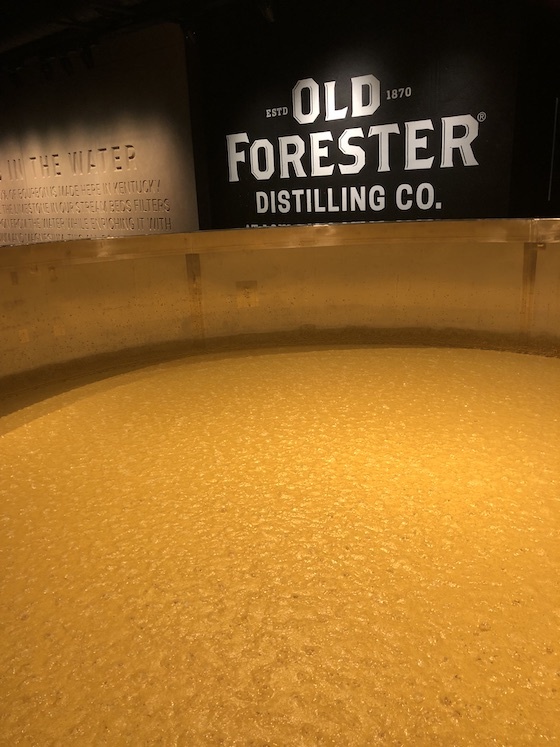 Old Forester was first created in 1870 and holds the distinction of being the only bourbon continually distilled and marketed by the founding family before, during and after Prohibition. In the 1920s when many distilleries closed, Brown-Forman applied for and received a federal license to continue producing Old Forester for medicinal purposes. At its peak the brand sold a little more than one million cases in 1972-1973. But then came a clear challenger to the American brown spirit that severely hurt the bourbon’s sales. “You can’t lose track of what happened in the 70s with the introduction of vodka. Consumer taste changed. Vodka showed up and captured the attention of Americans. I think bourbon in general became for the most part very occasional, even in the bourbon belt. People were experimenting with vodkas,” says Brown. 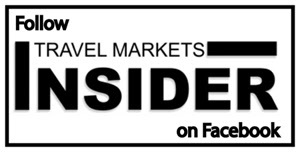 One such factor was the booming sales of its American whiskey portfolio-mate, Jack Daniel’s, which has consistently grown its sales to become the number two brand sold in global travel retail (IWSR). 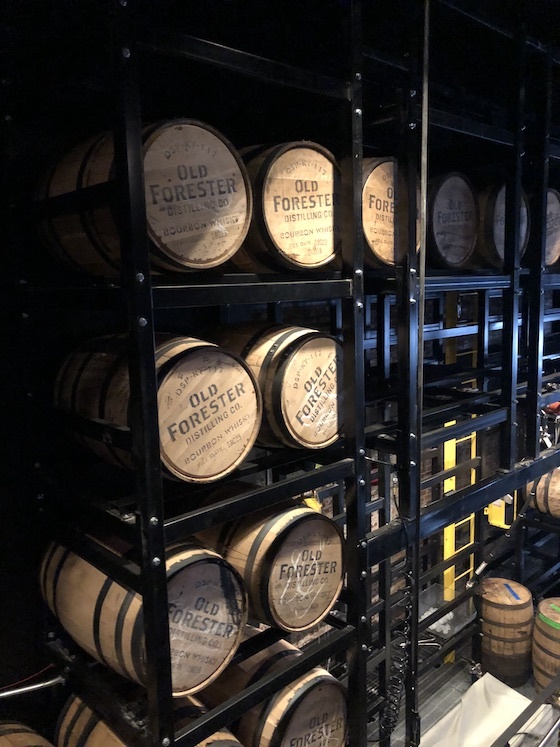 Old Forester is riding the wave of excitement for bourbon and American whiskey around the world to become a much more important brand for Brown-Forman again. Brown says the success of both Jack Daniel’s and Woodford Reserve has given the company the confidence to expand Old Forester. “Woodford Reserve is a wonderful pace horse for everybody. We have seen what that brand has been able to do. It gives us confidence and hope,” says Brown. “We’ve done a good job of leveraging this wonderful consumer demand. It is growing beyond the U.S., certainly growing beyond the bourbon belt. The mantra is ‘Let’s make this a global brand.’ But first we have to make it a national brand and that’s the goal. While Old Forester has traditionally been known for its value, the company has begun expanding into travel retail as well “with some decent success,” says Marshall Farrer, Brown-Forman’s Senior Vice President, Managing Director, Global Travel Retail & Developed APAC (he is also Campbell’s cousin). Brown says the Whiskey Row Series is poised for success in the travel retail channel. “Our whiskey makers have introduced a line of premium expressions that are a wonderful taste through history and a nice way to see how the different grains contribute, and how we can play around with barrels to inform flavor and taste,” he says. Like the brand it houses, the distillery itself has had an up and down and then up again history. Originally set to open at least a year earlier, a fire on Whiskey Row caused damage to adjacent buildings and delayed the opening until June 2018. 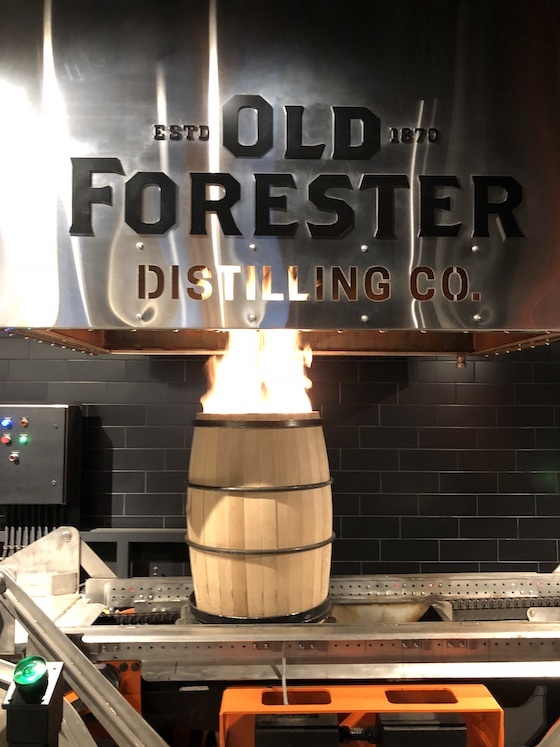 Now that is has opened its doors as an official member of the Kentucky Bourbon Trail, Old Forester Distilling Co. will add production capacity of approximately 100,000 proof gallons annually. Visitors who take the daily tour can follow the bourbon making process in an immersive experience that leads them from fermentation and distillation, to the on-site cooperage where handcrafted barrels will be raised and fired, then aged in an on-site maturation warehouse before bottling and shipment. Four 4,500 gallon tanks guide guests to a glass elevator, where they ascend through a light-filled atrium in full view of the 44-foot-tall copper column still, designed and constructed by Vendome Copper & Brass Works in Louisville. Tour guests then make their way to the on-site cooperage where coopers hand raise and char each barrel. In full view, barrels are tested and filled before making their way to the aging warehouse. Finally they make their way through a three-story warehouse where roughly 900 barrels will age.